My family, however, might get a bit tired of it. 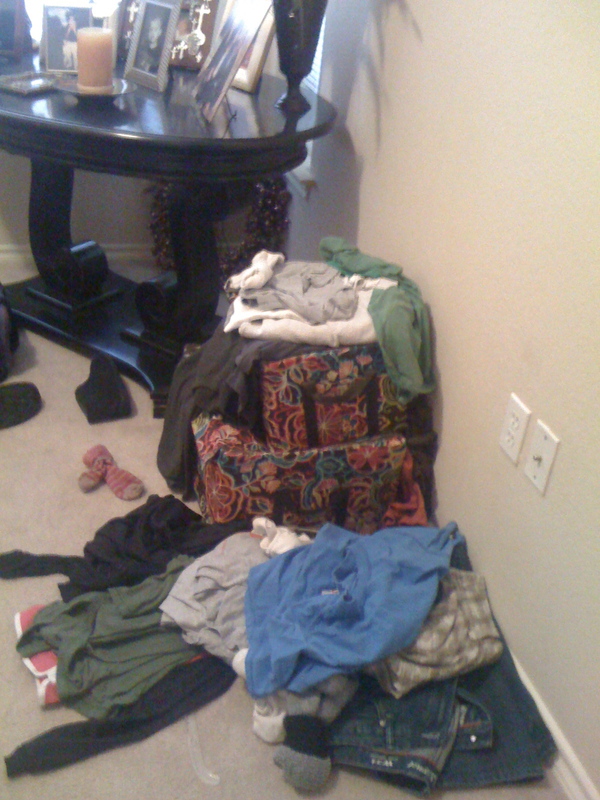 And those are the CLEAN clothes – they were folded at one point. But, I didn’t put them away so we have dug through the pile till we find something clean to wear. Yep, living the life. The other night, I shared briefly at church about our mission trip and the upcoming events we have planned. While I was sharing I thought about lenses. I know, strange, but I had just borrowed a totally awesome lens from my uncle to take Drew’s basketball pictures with. The lens I have, just can’t get good enough pictures – they play too fast and the light is bad. But this lens I borrowed – it does the trick. That is what going on a mission trip does for us. It let’s us see clearly life here after we have seen life over there. It brings our lives into focus, it sharpens the images – it makes us see things for what they are. That life here is about HIM. Loving Him and loving others. There is some big news coming for the Ewing’s and I will share more as we get closer. But I can tell you that God has given us an incredible opportunity to move into the neighborhood that I have been working with. God has made a way for us to move in and love families and to be right across from the school. WAHOO! God is so good and when we allow Him to interrupt our lives – He makes a way for us to serve Him. He is so good.